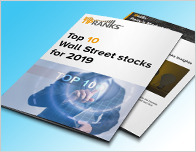 Companies in the Conglomerates sector have received a lot of coverage today as analysts weigh in on AO Smith Corp (AOS – Research Report) and Pentair (PNR – Research Report). In a report released today, Michael Halloran from Robert W. Baird maintained a Buy rating on AO Smith Corp, with a price target of $62. The company’s shares opened today at $53.99. 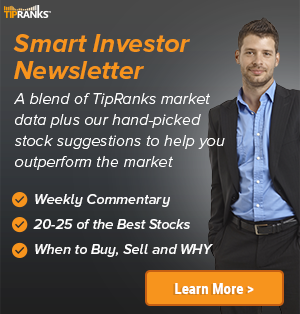 According to TipRanks.com, Halloran is a 4-star analyst with an average return of 7.3% and a 67.8% success rate. Halloran covers the Industrial Goods sector, focusing on stocks such as Gardner Denver Holdings Inc, Advanced Drainage Systems, and Emerson Electric Company. Currently, the analyst consensus on AO Smith Corp is a Moderate Buy with an average price target of $54.50. 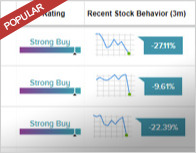 BMO Capital analyst Scott Graham maintained a Hold rating on Pentair today and set a price target of $43. The company’s shares opened today at $39. 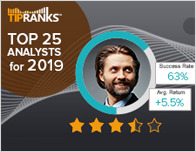 According to TipRanks.com, Graham is a 4-star analyst with an average return of 7.9% and a 66.1% success rate. Graham covers the Industrial Goods sector, focusing on stocks such as Rockwell Automation Inc, AO Smith Corp, and Regal Beloit. Pentair has an analyst consensus of Hold, with a price target consensus of $44, which is a 12.8% upside from current levels. In a report released yesterday, RBC Capital also maintained a Hold rating on the stock with a $42 price target.